This charming holiday home will make the happiness of a family come to relax in the good air of Normandy. With its modern interior and well equipped. This charming holiday home will make the happiness of a family come to relax in the good air of Normandy. With its modern interior and well equipped, it offers all the comforts for a good stay in the countryside. You will particularly appreciate the terrace to relax while admiring the view on the peaceful Norman countryside. Located on a farm, the ground is shared with FNM466, 468 and 469. Beautiful discoveries await you in the surrounding area, starting with the Donville Manor and the Bloody Gulch Memorial Museum. In Carentan, do not miss the museums dedicated to the battles of the Second World War, as well as the Church of Our Lady and the Medieval City. If you have bucolic walks to relax, the Regional Natural Park of the Cotentin and Bessin Marshes will be your favorite destination! Quiet walk or bike, you can choose from 50 circuits to enjoy the good air of Normandy. Golfers can spend beautiful days on the course located 14km. If you continue your journey to Isigny-sur-Mer, you will not fail to bring back the famous caramels after visiting the factory ... both young and old will be delighted! 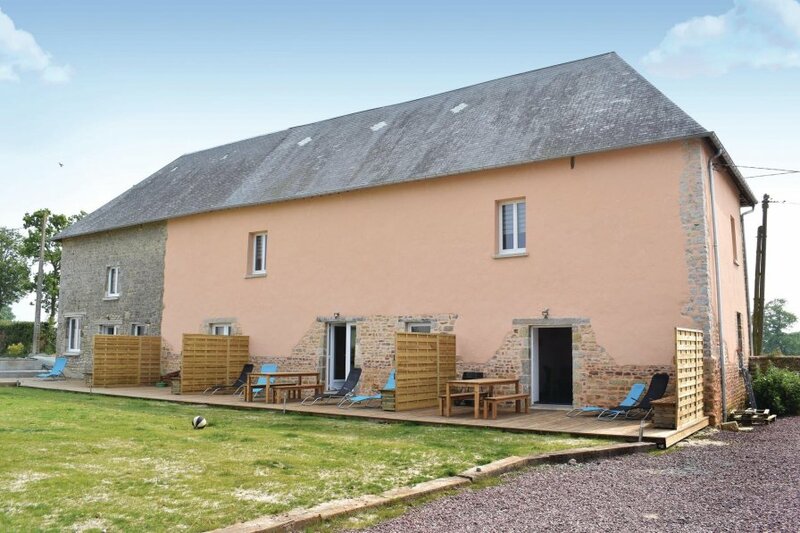 Thanks to this lovely vacation rental, you will spend a very nice stay in Normandy. This villa is made from brick or stone and was originally built in 1800 and refurbished in 2018. The agent has rated it as a three star property so it is a well-kept villa, equipped with standard furniture. It is also good value for money. The villaIt is located in Terre-et-Marais, only 11km from Carentan. The nearest airport is 67km away. It is set in a good location: there is a restaurant 2.6km away.